Care2 Healthy Living | How Can Our Health Care System Help Stop the Opioid Crisis? The opioid crisis has spiraled out of control. Last year alone, nearly 50,000 Americans died from an overdose of either prescribed or illicit opiates. And that figure fails to take into account the thousands more who find their careers and home life shattered due to abuse of these drugs. 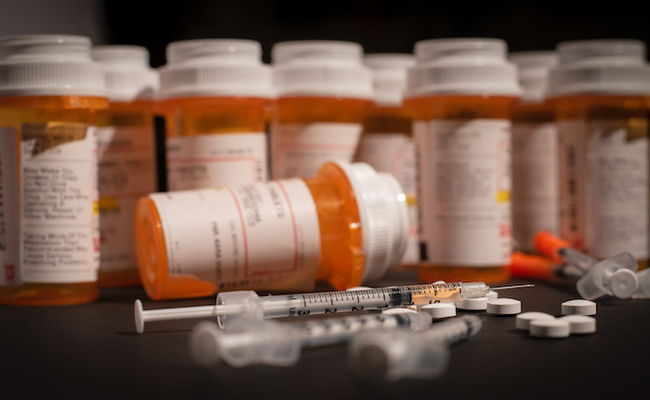 Many factors contribute to the increase in opioid abuse. Poverty, lack of affordable care and a shortage of doctors who prescribe medications to treat addiction have all added to the crisis. Ironically, the health care system itself also contributes to the epidemic — and that needs to change. One way the health care system fails those struggling with opioid dependency includes the failure to identify high-risk patients. All physicians should offer regular screenings to patients who come to them for both acute care and standard checkups. Questionnaires about addictive behaviors offer physicians valuable insight into which of their patients run a high risk of addiction, and doctors can refer high-risk patients to educational programs and counseling designed to address their unique needs. Some health care professionals fail to recognize “doctor shopping,” another factor contributing to the opioid crisis. This phenomenon occurs when a patient visits multiple care providers to obtain duplicate prescriptions which they then attempt to fill at different pharmacies, doubling, tripling or even quadrupling the number of pills they obtain. Though statutes prohibiting doctor shopping exist in all 50 states, many addicts nevertheless risk criminal prosecution to get the fix they crave. Far too many healthcare facilities lack sufficient supplies of Suboxone, the medication that prevents opioid overdoses from becoming fatal and which helps addicts kick the habit. Many practitioners lack the requisite licensing to prescribe this lifesaving medication. Only about 5 percent of physicians possess a license to prescribe Suboxone. Furthermore, many facilities require those seeking help to enroll in an inpatient rehab program, something that dissuades employed addicts from seeking care due to the cost of inpatient programs coupled with the need to miss work. Lack of patient financial resources further complicates the opioid crisis. As the U.S. practices for-profit health care, individuals lacking insurance often also lack sufficient funds to seek medical treatment and mental health care. While some free and sliding-scale clinics exist, they can be few and far between, especially in rural areas. Politicians have taken measures to address the opioid epidemic since the Obama presidency. In fact, Obama dedicated more than $1 billion toward fighting the growing epidemic. Reactions to the Trump administration’s plans regarding this issue have been mixed, but it’s good that we’re talking about it. In the private sector, physicians and pharmacies have implemented prescription drug monitoring programs, or PDMP. These statewide information systems fight doctor shopping by creating electronic records of previously issued prescriptions to discourage addicts from doctor shopping. PDMPs likewise help health care professionals identify high-risk patients so they can offer the care they need. The Centers for Disease Control updated prescribing guidelines for physicians treating patients with opioids for chronic pain disorders. The new guidelines suggest far milder doses than previously recommended and require more frequent physicians’ visits so doctors can evaluate patients regularly for addiction. While this helps fight the epidemic, many chronic pain patients report the requirement to make regular doctor visits constitutes an undue burden on individuals who may have difficulty accessing transportation for monthly checkups. How can physicians and other health care professionals truly help those struggling with addiction? Doctors can take advantage of several techniques to help patients recovering from addiction. First and foremost, more doctors need to seek licenses to prescribe Suboxone to reduce the number of overdose deaths. They should ensure their facility has sufficient supplies of medications to aid in addiction recovery. Hospitals and urgent care centers should stock extra medications, as many patients frequent these services for treatment of overdoses. Secondly, legislators should enact laws that treat patients who doctor shop as individuals requiring assistance, rather than treating them as criminals. Fear of prosecution and arrest forces many addicts to neglect seeking help. Opioid addicts need support and compassion, not incarceration. Finally, physicians can integrate holistic practices to further assist patients in kicking the habit. Holistic medicine treats both mind and body, and taking the time to incorporate these types of practices can help patients address the underlying mental attitudes that led to their addiction in the first place. Techniques such as meditation and biofeedback help patients learn new, healthier coping mechanisms. The opioid crisis has claimed far too many lives, and medical professionals stand on the front lines of helping patients in need. By treating addicts with compassion, keeping sufficient quantities of medication handy and incorporating practices that benefit both mind and body, patients may be able to more readily get the help they need to tackle opioid dependency and live their best lives. It can be said that there is such an opportunity. Medication is very important nowadays. Many of them are part of our lives. There are even tablets that increase the concentration like these https://modafililxl.com/modafinil-reviews-ratings/ . doctors need to stop over prescribing, but people also need to stop taking more than the recommended dose. There are cancer patients, etc, in misery because they can't get opioids! Not exactly this issue, but a couple of times recently I have read that some states want to stop executions by lethal injection & go back to electric chair or something else that I don't remember-- maybe firing squads.. In one case, the reason is that the state doesn't have a supplier for one or more of the drugs in the lethal injection. In another case, whoever it is that decides such things says the lethal injection causes the criminal to suffer too much. Even for criminals, I don't think increasing the amount of suffering in the world is good. I keep reading that there are many accidental deaths from overdoses of opioids, especially Fentanyl & especially when it is bought illegally & people can't be sure of the dosage. I'm sure the government has confiscated large quantities of opioids that could be used for lethal injections. I don't know. Maybe people who don't want executions to cause too much suffering also don't want them to not include suffering at all. Some of these drugs should be taken off the market. I read fentanyl is umpteen times stronger than morphine.